Let’s meetup outside at the entrance at 8pm & I’ll wait 10 minutes before going inside with our group. If you miss us then text me (Terry) at 2135596307. There’s limited parking at the venue itself as well as street parking (always read the signs). Alternatively, you can also park nearby at The Mateo Center parking structure at 1256 Palmetto Street. 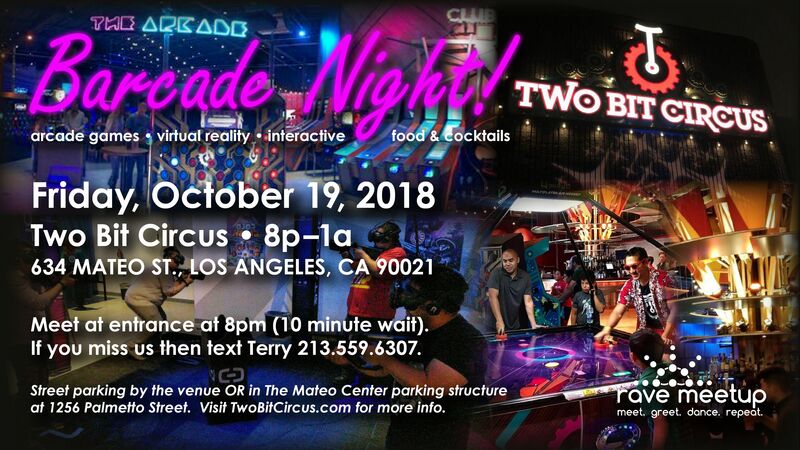 Visit http://www.TwoBitCircus.com for more info. Finally, I’ve posted this event on several other meetup groups so let’s have some fun with everyone!